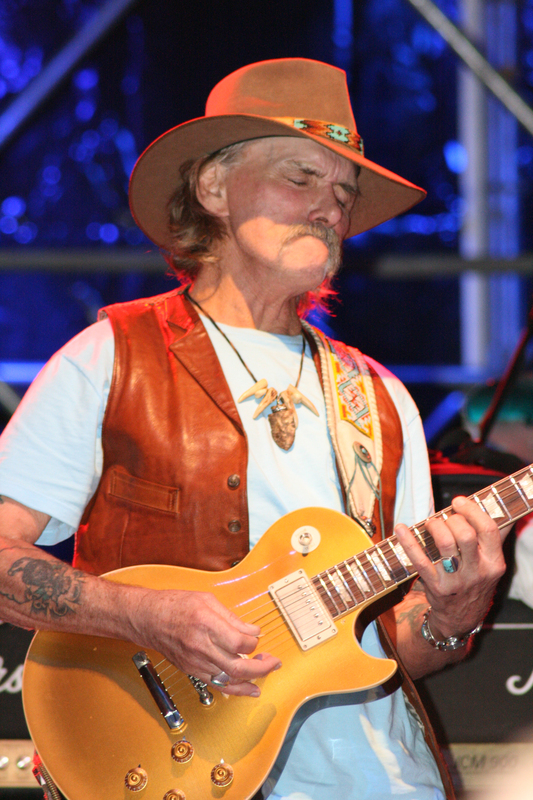 Dickey Betts, a founding member of the Allman Brothers Band, has one of the most distinctive voices in music today. Known as one of the most influential guitar players of all time, Betts has mastered a seamless style of lyrical melody and rhythm — marrying country, jazz, blues, and rock into one unparalleled sound. The New York Times has called Betts “one of the great rock guitarists…[who thinks like a jazz improviser, in thoughtfully structured, cleanly articulated, intelligently paced phrases…[when] Mr. Betts was tearing into one of his improvisations, the music was about as exciting as rock and roll gets.”Playing since he can remember, Betts joined several bands in the sixties and eventually formed a band with bassist Berry Oakley. One fateful night in 1969, Betts and Oakley’s band jammed with another local group featuring Duane and Gregg Allman, marking the birth of the Allman Brothers Band.In addition to matching band leader Duane Allman lick for lick, Betts also wrote such memorable songs as “Revival” and the instrumental tour de force “In Memory of Elizabeth Reed.” After Duane Allman and Berry Oakley were killed in accidents a year apart in 1971 and 1972, the ABB worked through their sorrow, with Betts writing and singing the group’s biggest hit, “Ramblin’ Man”. Members of the band ventured into solo careers in 1973, and Betts released his first solo album Highway Call, in 1974. The ABB split up in 1976, and Betts formed Dickey Betts and Great Southern. The group reformed in 1978, but soon split again, and Betts formed the Dickey Betts Band releasing Pattern Disruptive in 1988.In 1989, their 20th anniversary, the Allman Brothers Band reformed. The chemistry that resulted from the unique two-guitar approach of Warren Haynes and Betts made the Allman Brothers Band once again one of the most compelling bands in the country. The ABB enjoyed continued success throughout the nineties — being inducted into the Rock & Roll Hall of Fame, winning their first Grammy, and amazing audiences with their powerful live performances.A year after the ABB celebrated their 30th anniversary, Betts formed the Dickey Betts Band and hit the road on his own. His guitar sound is still immediately recognizable, with soaring leads providing musical wings, and his road-seasoned vocals reflecting grit and hard-earned respect. The group released their first C.D.,”Let’s Get Together” in June, 2001.Dickey changed the name of the group to Dickey Betts & Great Southern in January, 2002. They recorded the critically acclaimed acoustic CD “The Collectors Vol. I” that same year and toured extensively in 2002 and 2003. Dickey performed “Blue Sky” and “Ramblin’ Man” at the Jammy Awards March 16, 2004 at Madison Square Garden in NYC and Instant Live released “Dickey Betts at the Odeon, Cleveland, OH, 3/9/2004”. 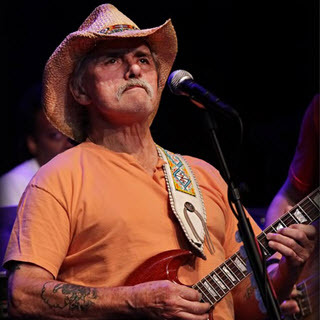 Dickey Betts & Great Southern have toured extensively and enjoy hooking up with the “best friends they’ve got” – their extended family of fans.